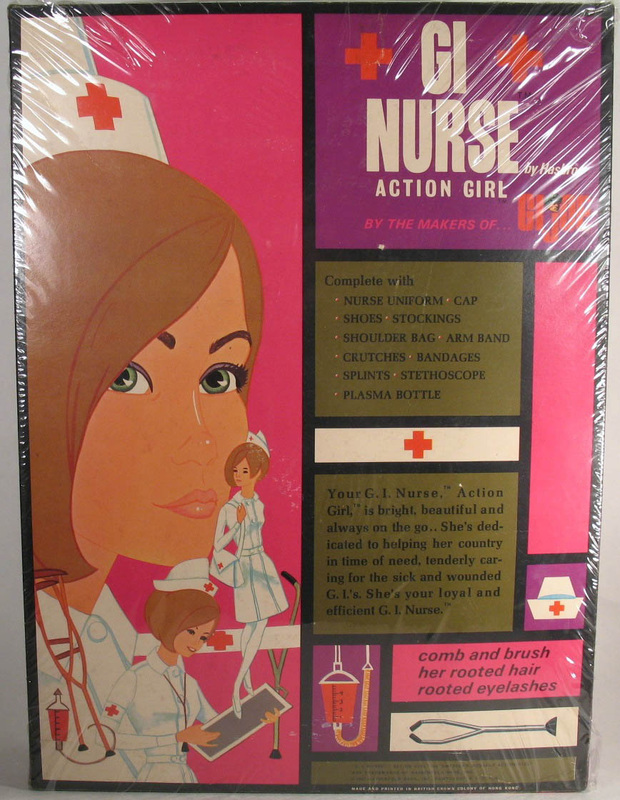 The GI Nurse Action Girl (8066) was released in 1967. The initial concept called for a roll-out of the figure in conjunction with several accessory sets. 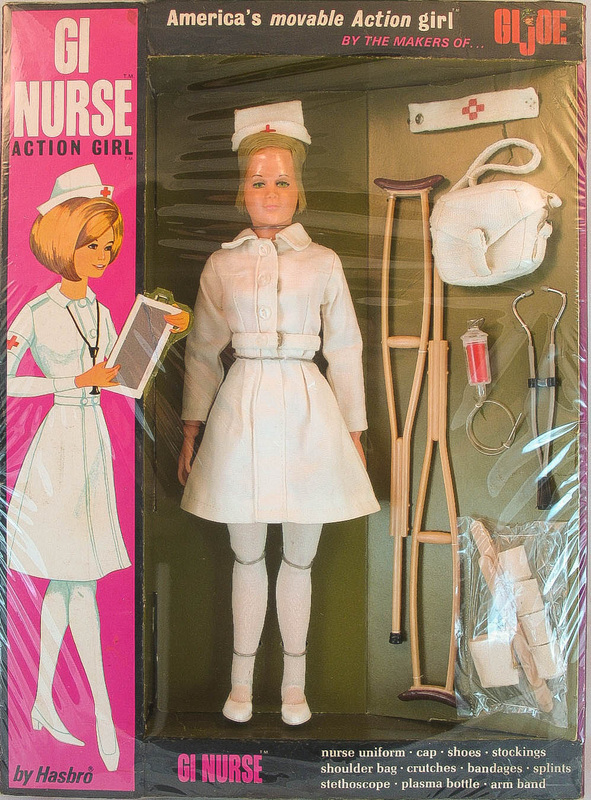 At the last minute, Hasbro decided to release only the figure, which left the nurse with only her medical accessories, and left toy stores with a quandary: should she be shelved with GI Joe in boys toys, or with the dolls like Barbie? 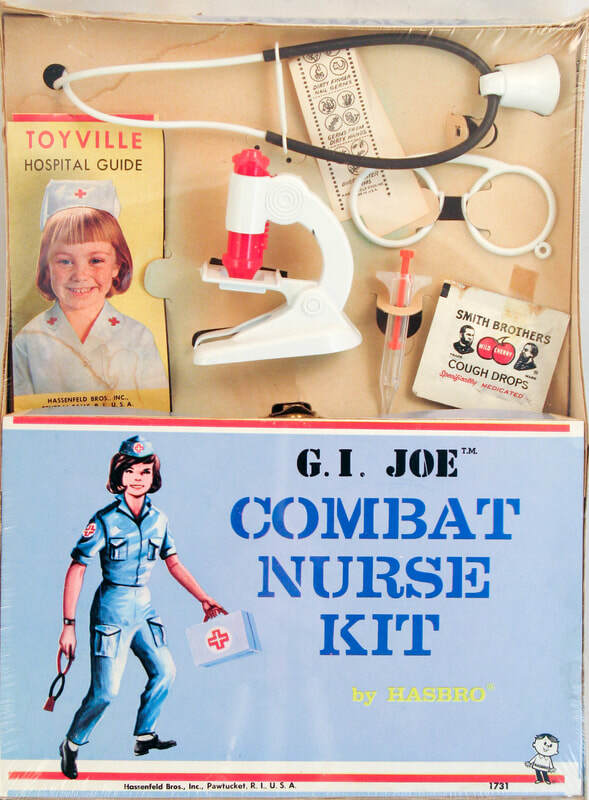 The result made the nurse a flop either way: boys didn't want a doll with their GI Joes, and girls didn't want the nurse when they saw her on the shelves with Barbie and all her accessory sets. Today she is highly sought after by collectors. The snap armband, unique to the nurse. 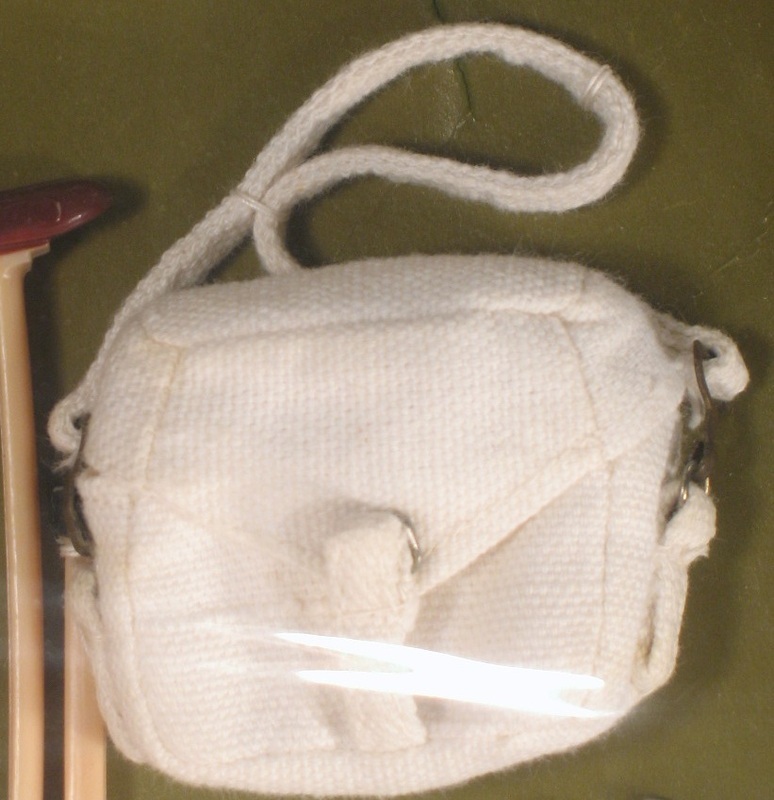 The white medic bag, unique to the nurse set. The white bag only showed up in a very few boxes as opposed to the more common green version. 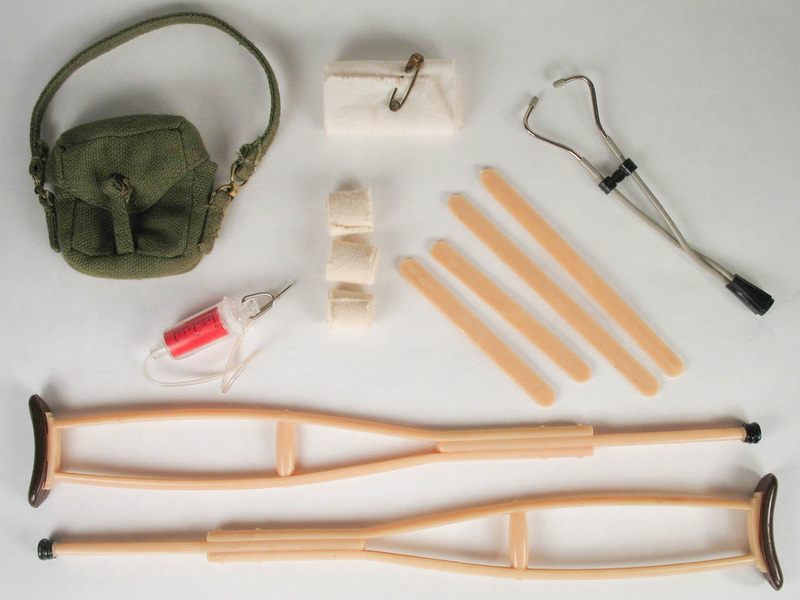 Pre-dating the nurse figure, the Combat Nurse Kit came out in late 1964.